Mike also founded Couravel, the award winning specialist employee engagement consultancy. Previous roles have included leading WPP Group's Banner McBride brand engagement consulting business. He was a Director of the Organisation Effectiveness Practice of Alexander Consulting Group and he began his consulting career with Towers Perrin (Towers Watson) in their Human Resource Management and Communication Practices. He became the leader of their European Employee Research Practice. 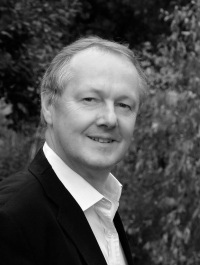 Mike has an MBA from London Business School, and has also worked for the School's Centre for Management Development. He is accredited under the NTL Organisation Development programme and is the Head of Development for the UK Chapter of the International Association of Business Communicators. We work for clients throughout the UK and Europe. Contact us to find out more or to discuss an issue or a need.